This episode was sponsored by Capita Translation and Interpreting. 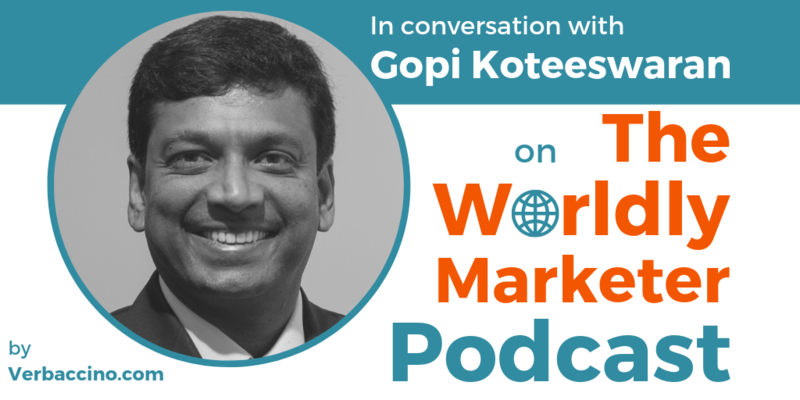 Gopi Koteeswaran is the CEO of LatentView Analytics, one of the world’s largest and fastest-growing data analytics firms. Founded in 2006, LatentView Analytics has become a trusted partner to enterprises around the world, including more than two dozen Fortune 100 companies in the financial services, retail, consumer packaged goods, technology, media, automotive and healthcare industries. With more than 550 employees, LatentView Analytics has offices in the U.S., Ireland, the U.K., the Netherlands, Germany, Singapore, and India. Gopi has a history of leading global companies to positions of strength in geographically diverse markets. He began his career as a brand manager with Johnson & Johnson, and went on to spearhead the company’s Vision Care business in India and Malaysia. He then joined Philips at its headquarters in the Netherlands, handling M&As and general management responsibilities. In 2010, he was named CEO of Philip’s DirectLife, a health and wellness business. In 2014, Gopi took on his current role as CEO of LatentView Analytics. He is based the company’s Chennai office, in India, and is responsible for the overall growth and expansion of the organization. Catch Gopi’s insights into how the field of data analytics is helping global brands create more relevant, more personalized experiences for their customers. Inscrivez-vous à la liste de diffusion de Verbaccino! Tous droits réservés © Verbaccino, 2019.